It was simple to give up than to keep going. It was the easier choice. For an athlete, giving up practice for one day is simpler than going in the field to run for 8 hours. For a financial advisor, skipping one day is easier than going to his office to work for 12 hours. 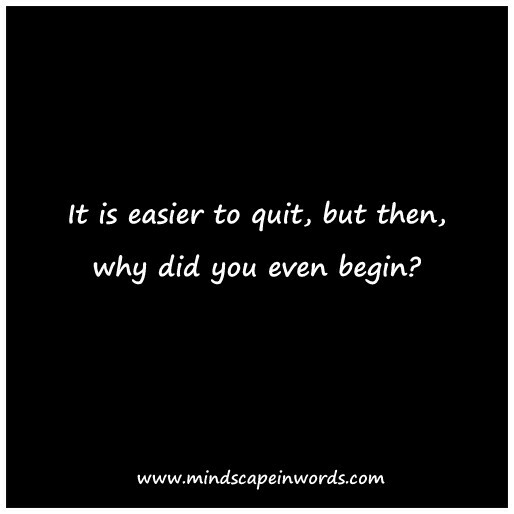 For a writer, giving up on that novel which they have been working on since 2 years is easier than to finish it. At any moment in anyone's career, it is easier to give up than to continue. It is easier to stop than to put in effort. But, after all, there is no glory in giving up. There's no thrill of success in the ease of quitting. 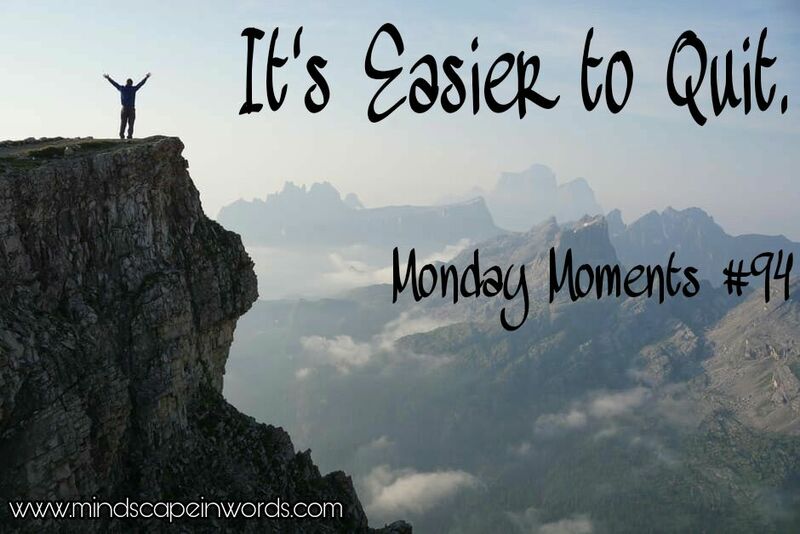 Sometimes things might seem easier to do but there's no accomplishment in doing that. You must keep going even in the lows. The highs will pass by quickly because it will be a good time but the lows will get stretched out because there's no fun in them. The lows will make you want to quit but at that time, it's important to remember why you started. 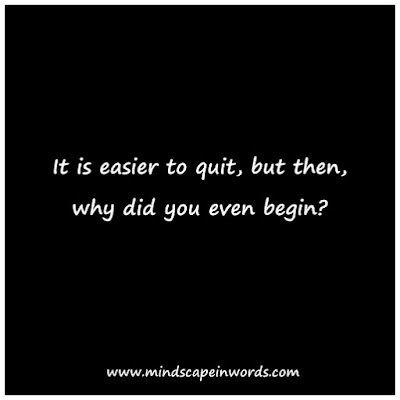 It is always easier to quit but it's of no use. Love this positive inspiration, girl! Keep on keepin on!